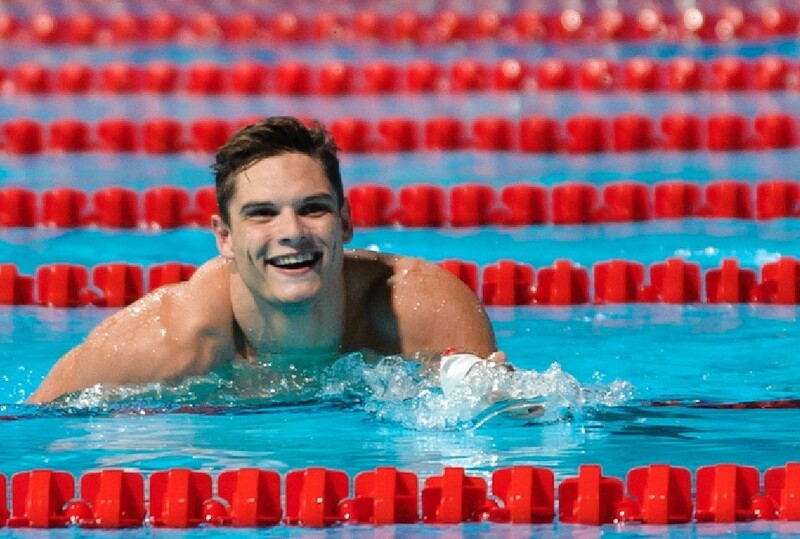 Florent Manaudou took the men’s 100 freestyle in his second championship record time of the competition, posting the top ranked time in the world, a 45.04. He takes over the top spot from Australian James Magnussen who posted a 45.60 in August. 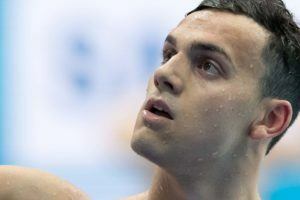 Heading into the competition Manaudou had a lifetime best of 46.62 which he destroyed by over a second and a half and was only 11 one-hundredths of a second away from Amaury Leveaux world and national record of 44.94 which he set in 2008. 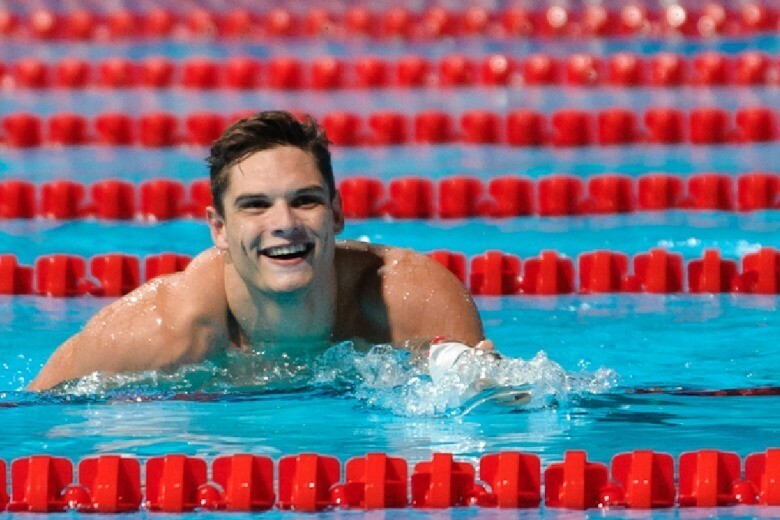 After this performance Manaudou becomes the favourite in the event heading into the European Championships. Fabien Gilot finished second in a time of 46.52 which currently puts him sixth in the world rankings (factoring in Manaudou’s time). Jeremy Stravius, who skipped the 50 backstroke to focus on this event finished third in a time of 47.44. Dutch athlete Sharon Van Rouwendaal started the A finals at the French Short Course National Championships with a world’s top 10 ranked time and a new Dutch national record, winning the event in a time of 8:18.05. As of late the Netherlands best results in international competition have been in the sprint events, with many national records being set over the last few years, that has not been the case in the distance events as Van Rouwendaal took down Kirsten Vlieghuis’ 1998 record of 8:21.94. Van Rouwendaal not only beat out Coralie Balmy for the gold, but she also pushed Balmy out of the world’s top 10. Balmy who touched in a time of 8:20.03 held the tenth spot in the world rankings having gone an 8:18.67 at the World Cup in Doha. The men’s 50 backstroke was incredible race between Camille Lacourt and Ben Stasiulis with the two men being separated by the slimmest of margins. Lacourt won the event in a time of 24.30 followed by Stasiulis who finished in a time of 24.31. 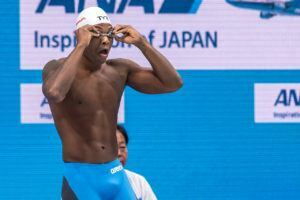 Absent from the race were the two fastest French swimmers this year Jeremy Stravius, who currently has to top spot in the world rankings having put up a 22.99 in Doha and Florent Manaudou, who recorded a 23.43 at the same meet holding the fifth place position in the world rankings. One great race followed by another as the women’s 50 butterfly was also decided by one one-hundredth of a second. Melanie Henique, who currently holds down the eighth spot in the world rankings, having posted a 25.60 in Doha, won the event with the exact same time. Camille Muffat recorded a 25.61, which currently ranks ninth in the world and is over a second improvement on her lifetime best time of 26.74 entering the competition. Taki M’Rabel took the men’s 400 IM in a time of 4:11.34 just ahead of Quentin Coton who posted a time of 4:11.94 to pick up the silver. Ganesh Pedurand recorded a time of 4:12.78 which was good enough for third. In the same race Guillaume Laure, who finished fifth, set a new French record for the 17 year old age group posting a time of 4:16.65. Earlier in the evening in the B final Tanguy Lesparre also set a new age group record for the 14 year old age group finishing in a time of 4:27.82. 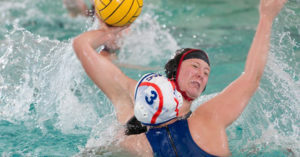 It was Fanny against Fanny in the women’s 200 breaststroke. Belgian swimmer Fanny Lecluyse won the women’s 200 breaststroke with ease posting a time of 2:22.20 finishing over two seconds ahead of Fanny Deberghes who touched in a time of 2:24.56. Lecluyse was just over a second off her Belgian national record which she set in 2011. Following Manaudou’s lead Charlotte Bonnet set a championship record winning the women’s 100 IM easily posting a time of 1:00.08. Current French national record holder in the event, Sophie De Ronchi finished second in a time of 1:02.01. 16 year old Laurine Del’Homme finished third setting a new French age group record putting up a time of 1:02.84. 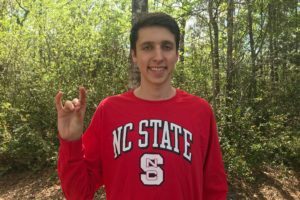 Earlier in the evening we saw two races decided by one one-hundredth of a second, the only way a race could be closer would be if it ended in a tie, which is what happened in the men’s 800 freestyle. Anthony Pannier and Damien Joly both posted times of 7:44.23 which currently puts the two swimmers in the fourth place position in the world rankings. Joris Bouchaut finished third in a time of 7:46.36, which puts him seventh in the world rankings (taking Pannier and Joly’s performances). Camille Lacourt has won the 50 back in 24.30. No Stravius in the final. He is focused on the 100 free final later in the session. Mélanie Hénique wins the 50 fly in 25.60. No surprise, she was the favorite. But Camille Muffat very close second in 25.61 is a good surprise. She doesn’t train much since Barcelona so her sprints are good unlike the longest distances. Bobo is there a live stream for French Nationals? Or live timing etc. Your only chance to watch the meet live online is on the eurosport website with the eurosport player. But you must pay. Live timing and results here.